When I saw a transmog contest being advertised in trade chat, I decided I had to go check it out. It was free to enter, and there weren’t any particular rules, so I figured I had nothing to lose by competing as well. 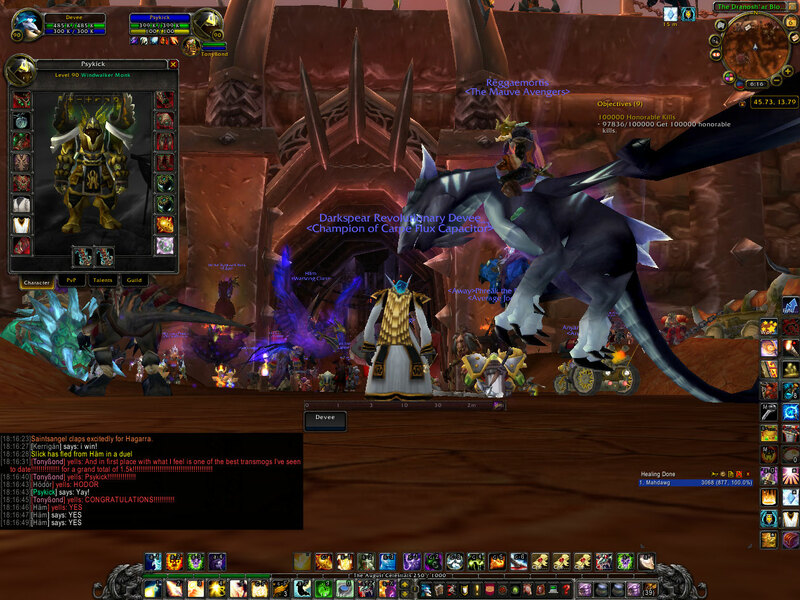 We all lined up in front of Orgrimmar. There were some people who crowded around just wondering what was happening or deliberately trying to interfere with us, but honestly, there weren’t many. 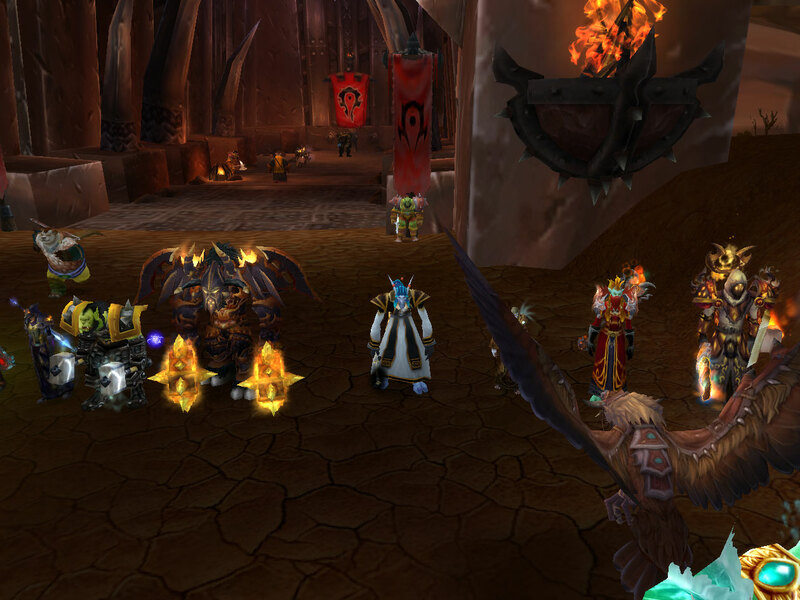 Gorehouse, whoops, I meant… Thrall… kept demanding respect as the former Warchief. He kept at it and was pretty entertaining. The winner was Psykick! I’ve opened an inspection window on him in this screenshot. It was fun to do an different type of activity that evening in WoW. 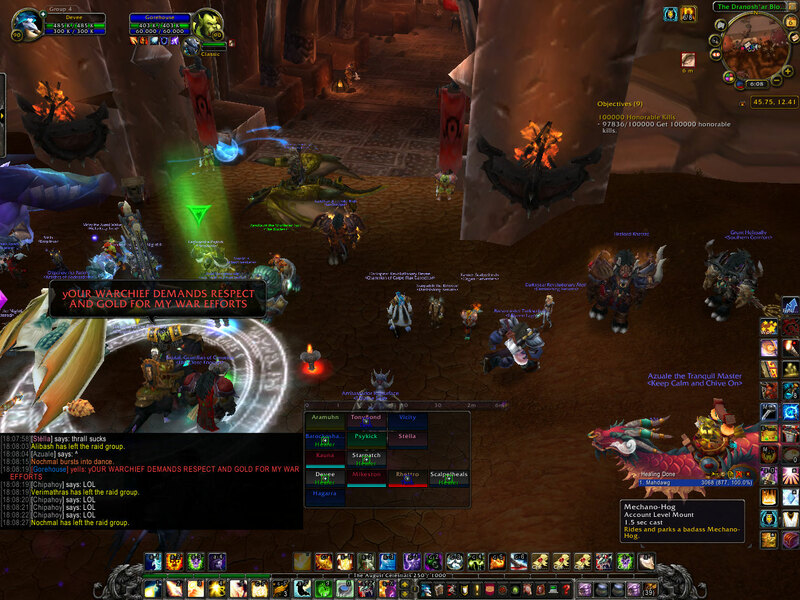 Patch 5.3 PTR: Valley of Spirits closed down by Garrosh’s goons, Olivia Grace, WoW Insider, 4/5/13. I wrote about this previously. Too cool! 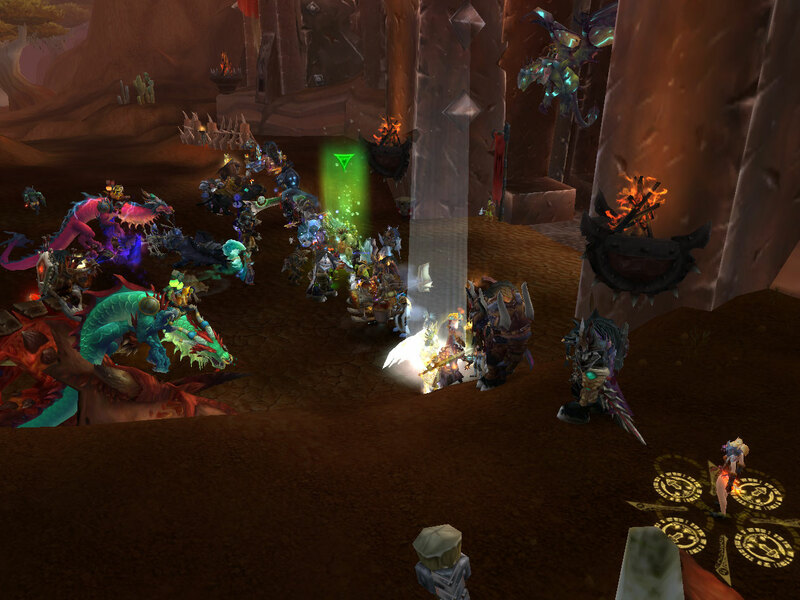 Massive cross-realm gathering successfully unites players from 11 realms, Lisa Poisso, WoW Insider, 4/4/13. This sounds really fun. I wish I could have been there. Player run events are very fascinating to me. I love that we have the ability to create our own stories in the game. 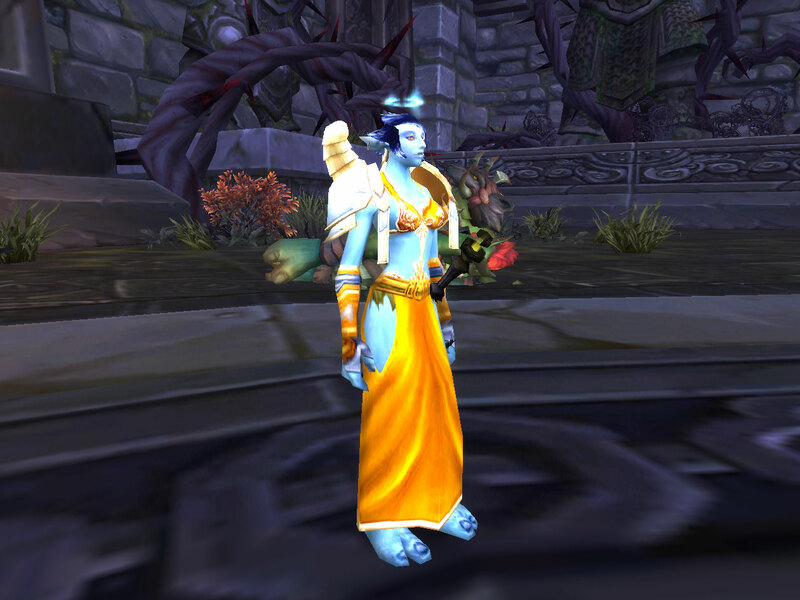 Patch 5.3: Transmog to be available from bank and void storage, Elizabeth Harper, WoW Insider, 4/8/13. BlizzCon tickets go on sale April 24 and 27, Adam Holisky, WoW Insider, 4/4/13. Should I go this year? It’s pretty far. It’s about 20 minutes from home.